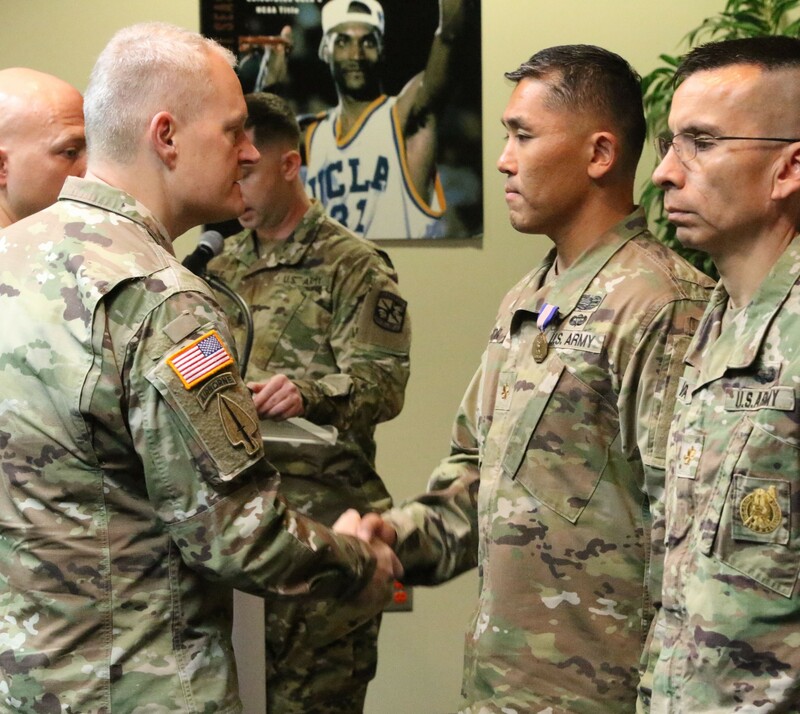 LOS ANGELES (Feb. 27, 2019) -- Maj. Gen. John Evans, commander of U.S. Army Cadet Command, presented several members of the UCLA ROTC staff with awards and accolades today on campus. 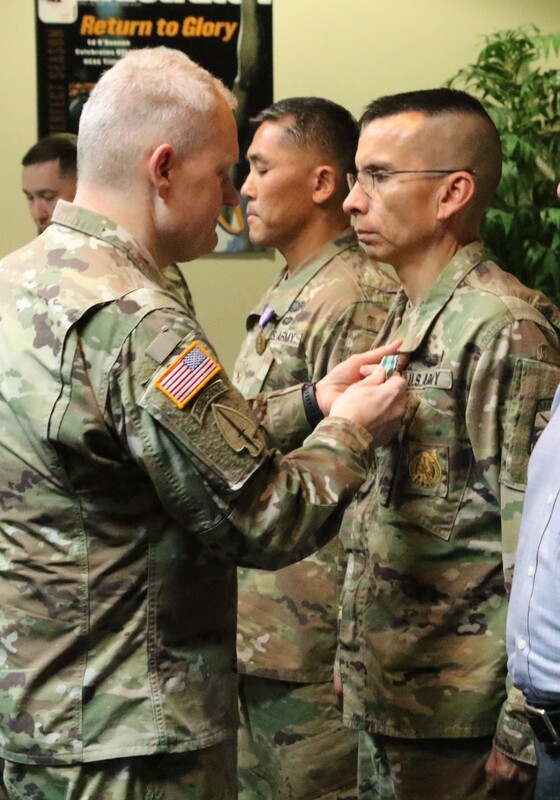 Among them was Maj. Steve Kwon, who received the Soldier's Medal for actions he took at a traffic accident that took place April 2018. Kwon, along with other staff from the UCLA ROTC program, were traveling back to campus when they saw a semi-truck that had jackknifed across a concrete barrier separating the North and Southbound lanes of the 405. At the time of impact, the truck appeared to explode causing a tremendous fireball. Kwon ran to the wrecked vehicle and helped the driver exit it. While helping the driver of the truck, he discovered a vehicle trapped underneath its bed. The car was on fire and the driver was still in the vehicle. Kwon risked his life to pull the driver out of the burning car. 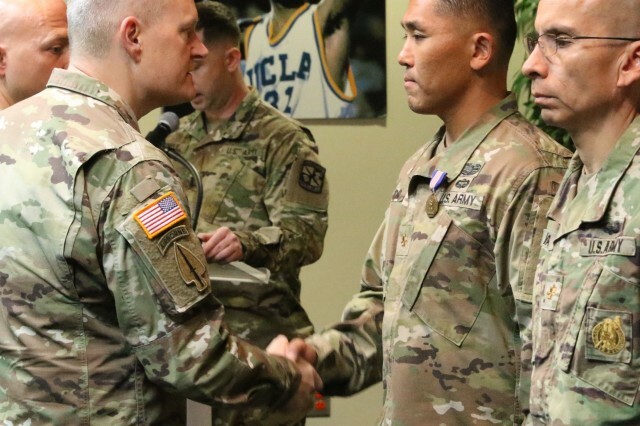 Other members of the UCLA ROTC staff that were recognized during the ceremony were Maj. Tyrone Vargas, who received an Army Commendation Medal, Romeo Miguel, Superior Civilian Service Award, and Victoria Sanelli, who received a two-star congratulatory note and a commanding general's coin. 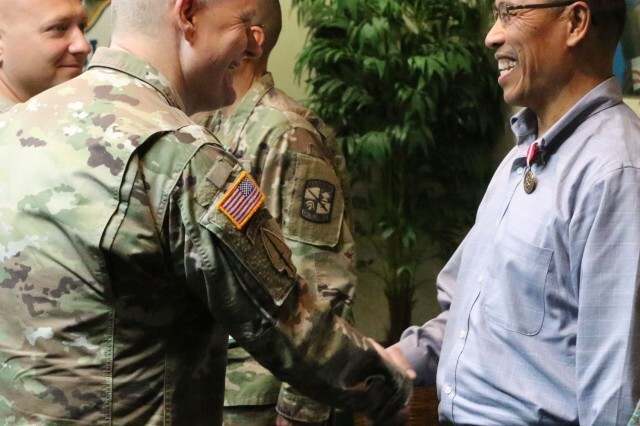 During the ceremony, Evans said actions like those taken by the ROTC staff are an example of the good will Americans have for helping one another. "I'm here to recognize these individuals because of what they did and how they did it. It's pretty amazing when you've got people within our own society who are willing to step up and put their lives at risk for others," he said. "That is no small thing. It's great to see that when Americans need help from one another, they come together and help each other out. I think that was embodied by our awardees as they worked as a team to do what they did." 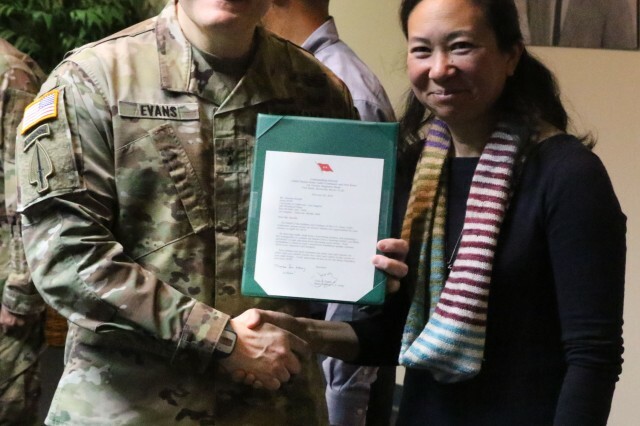 "Particularly I want to recognize the contributions of Major Kwon for really putting himself at extreme bodily risk to help rescue someone who was in desperate need of help," Evans added. "The contributions of the rest of the party that was there are no less impressive with every one of them doing their job and their part to make this happen." 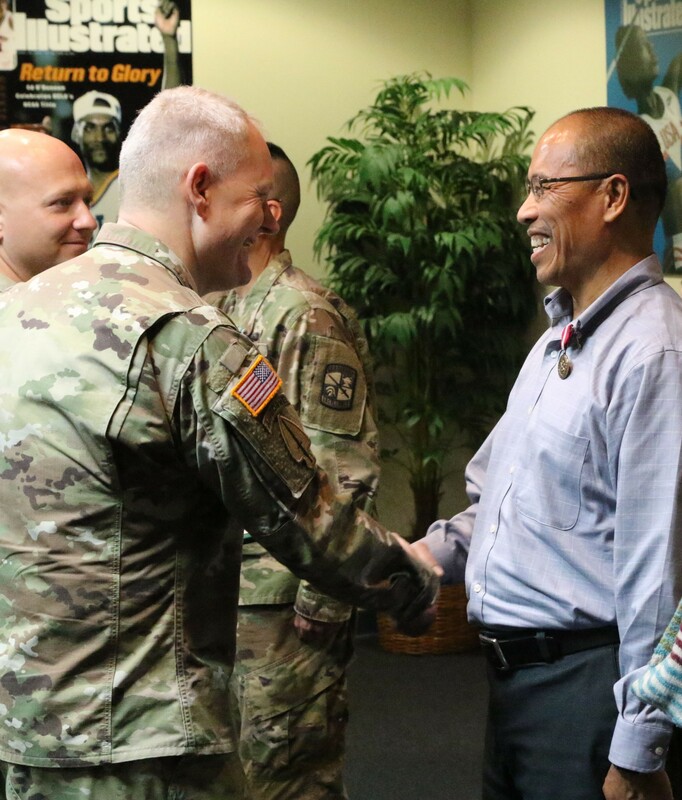 Kwon took a moment to thank and recognize his fellow staff members for their part in the actions that took place that day last April, and to inspire the Cadets in attendance at the ceremony. "This was a collective effort, not just an individual effort. We stand before you, not as heroes, but as equals," he said. "To us, this is something that we are trained to do. And to the cadets that are in this room, I challenge you with everything we emplace on you. This is something you will take with you and apply throughout your career." 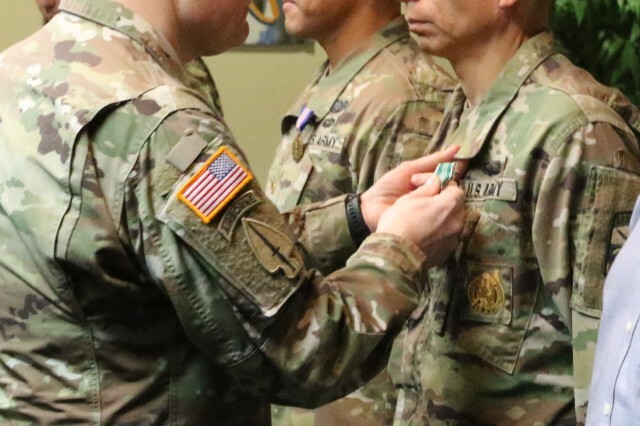 The Soldier's Medal is awarded to military members who distinguish themselves heroism not involving actual conflict with an enemy. The performance must have involved personal hazard or danger and the voluntary risk of life under conditions not involving conflict with an armed enemy. The U.S. Army Cadet Command oversees the Army's senior and Junior ROTC programs. 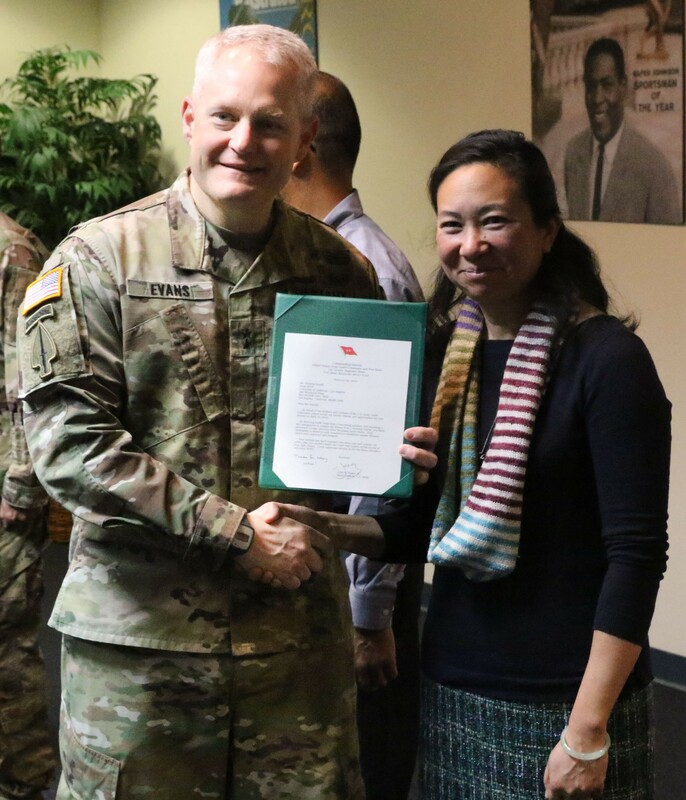 It commissions more than 70 percent of the Army's new officers each year through host ROTC programs at 275 host universities at nearly 1,000 affiliated programs at other colleges across the nation. It also oversees one of the nation's top citizenship and leadership programs through more than 1,700 Army Junior ROTC programs nationwide.